Designed to work in virtually any educational setting, our research-driven curricula provide a unique and effective way to reach children of all backgrounds, developmental levels, and learning styles. 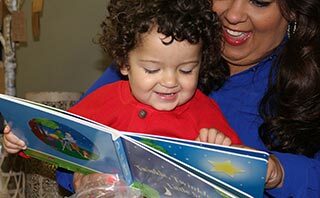 We offer five developmentally appropriate levels for newborns through seven-year-olds, with each activity providing the groundwork for building language, literacy, math, and social-emotional skills. The fun and joy inherent in music-making encourages positive teacher-child interactions, and creates an engaging and disciplined classroom routine. Kindermusik is easy to implement and perfectly complements Pre-K and Kindergarten programs in public schools, private schools, and childcare centers. We even offer solutions for Head Start and Early Head Start, English Language Learning programs, special needs programs, after-school programs and international schools. 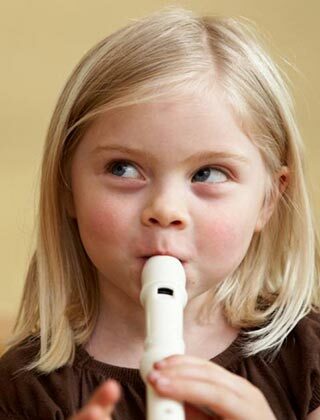 Take 10 minutes to see how Kindermusik can work in your school. Classroom teachers become an extension of Kindermusik as they lead children through playful, interactive, and developmentally appropriate music and movement activities. Our all-inclusive curriculum kits provide tools that make it easy for teachers to guide and participate in the activities, assess their students, and have fun. Our lesson plans are intentional, developed using a tested and repeatable formula. The individual activities within each lesson, such as greetings, storytime, and instrument play, are strategically placed for maximum engagement. The establishment of repetition and rituals allows children to take comfort in knowing what’s coming, encouraging creative participation within the established framework. The addition of Kindermusik Home encourages family involvement, facilitating at-home learning and creating opportunities for caregivers to get involved in their child's education. 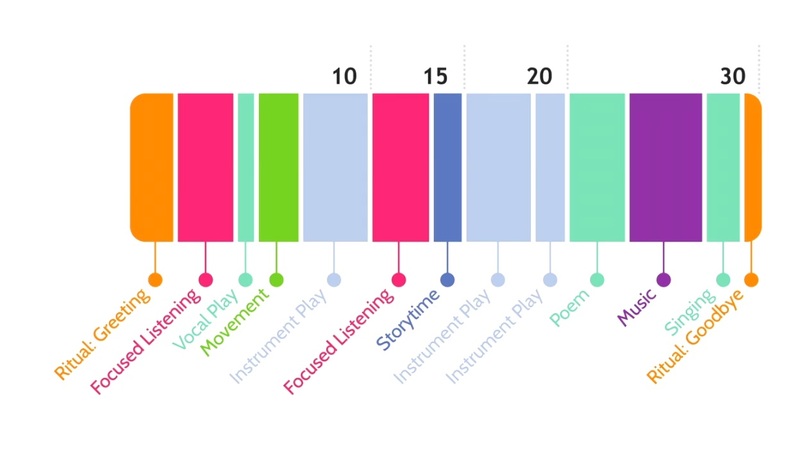 Results from an independent research study showed that preschoolers who participated in Kindermusik Level 3 curriculum for as little as 30 minutes each week showed a 32% greater gain in early language and literacy skills than the control group. 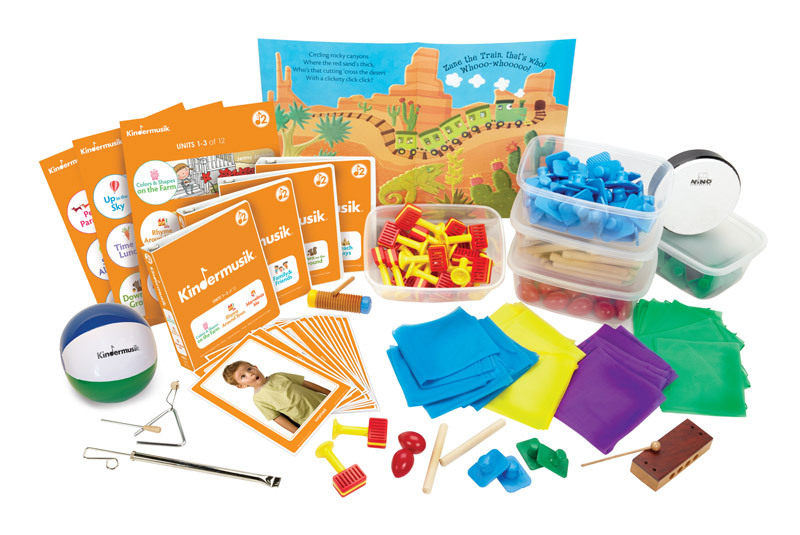 Our school curriculum kits offer enough structure to make it easy for teachers that are new to Kindermusik to follow along without the need to adhere to a rigid lesson plan. Available for five levels of learning, each kit includes developmentally appropriate, safety-tested instruments and manipulatives to enhance music-based learning activities. Easy Guides, Teach-Along Audio and access to our online resource center make Kindermusik easy to integrate into any school setting, with any teacher. Bring Kindermusik programming to your school and you’ll foster whole-child development, increase school readiness, and share the joy and power of music-making. We recognize the vital role the family plays in a child’s overall academic success. When you include Kindermusik Home in your school programs, you provide parents and caregivers with fun activities that make it easy to get involved in their child's education. Students and their families sing their way to school, sing their way home, and continue to sing through the weekend, strengthening family connections and providing further support for social-emotional development. Kindermusik Home also provides opportunities for non-English speaking families to learn English together in an engaging, joyful way. We’re happy to help you select the family engagement tools that best complement your school’s programs. Kindermusik has helped my students find pure joy in music. The curriculum is extraordinary, developmentally appropriate ,engaging, and fun. The program is an essential part of their experience at school. The program has beautifully enhanced the students social experience, movement, and music in a fun and nurturing environment. Kindermusik has served to “jump start” early literacy and numeracy skill development for these children. The music and movement are irresistible and compelling. Children who were previously unavailable for social interaction and learning readily engage and are soon leading their peers in the routines of the program.